I have this Tic Tac Toe stamp set from Close To My Heart called "A Game" (retired) that I thought would be fun to use with this. I used holiday red cardstock from CTMH (also retired), white pearls that I made red with a R27 Copic marker, Outdoor Denim and Holiday Red CTMH inks, washi tapes (sorry, I don't know brands of any of my washi tapes -- they're all thrown together in a basket), Stardust Stickles on the heart, and 3 Girl Jam crinkle ribbon in holly berry from the winter bundle. 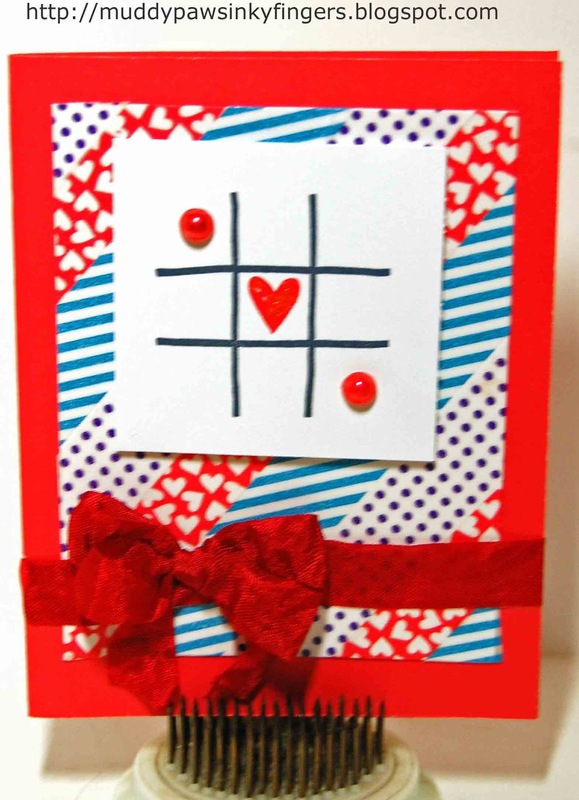 I'm entering this card in Crafty Creations Tic Tac Toe challenge, All that Stickles Stardust challenge, and Oozak's "Anything Goes w/favorite color" challenge -- red! Please come back later this week for Julie's Blogoversary Blog Hop, "Celebrating Friendship". It's March 1-3. They'll be tons of inspiration AND prizes! Hey everyone, thanks for coming to check out my card in more detail. 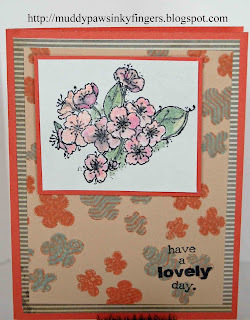 I have this card on the 3 Girl Jam challenge blog today. I got this stamp set and papers from a friend in England. They're from an English card making magazine she subscribes to and thought I would enjoy. The stamp set and papers are both called, "Sew Pretty". 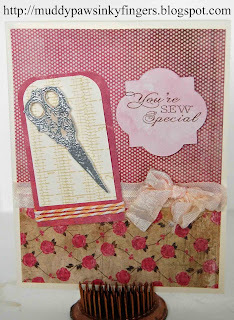 I embossed the scissors with Close To My Heart silver embossing powder, then fussy cut them. I then inked them with Tim Holtz antique linen distress ink. The sentiment is stamped with Close To My Heart desert sand ink. The twine is also from Close To My Heart. Needless to say, the crinkle ribbon is all 3 Girl Jam! It's from the season's bundle. Now, if I could just learn to sew! 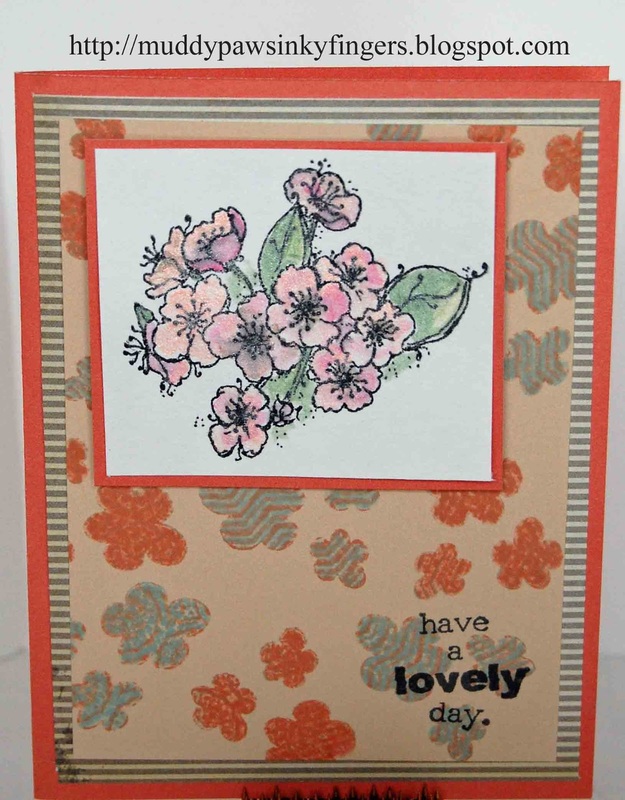 I used a flower stamp from Fancy Pants Doodle & Things set for the main stamp in the background paper of this card, and then used various stamps from the same set for the "kissing" technique to make the textured look. Papers are from My Mind's Eye Nostalgia. 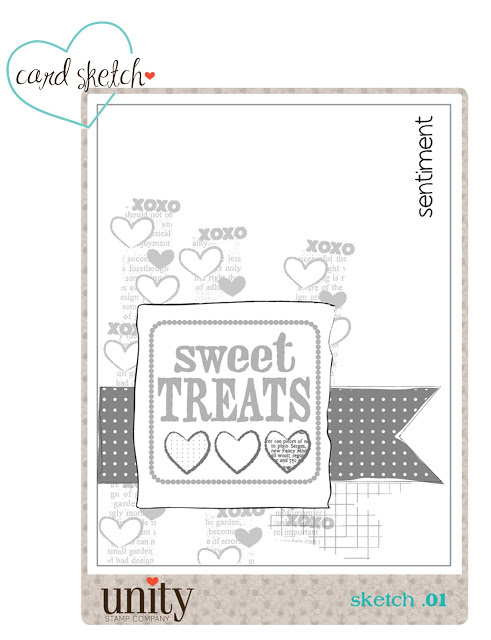 Cardstock is from Close To My Heart (sorbet). The main image is a Unity stamp, "Lovely Day" (WIB-357), painted with Creative Inspirations paints using sage, blush, mocha latte, peach, & mellow yellow. 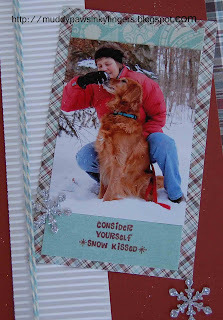 I'm entering this in cropchocolate's stamp kissing challenge, and Creative Inspirations "anything goes" challenge. Happy Friday everyone, and thanks for stopping by! I'm glad you could all leave the Unity site long enough to stop on over. ANOTHER weekend of great sales. How do they do it? I'm not often afraid of a stamp, but I have to share something with you, my blog readers. I purchased the Phyllis Harris stamp "Easier with You by my Side" and then was terrified to ink it up. That horse SCARED me! I have a healthy respect for horses IRL, and it has transferred over to this stamp. Well, a friend of mine lost her father, and he was a huge horse person. He spent his whole life around horses, having a team of Percherons he took to many local parades for years. My friend still has 5 horses. So, I knew it was time to give this stamp some love and get over my fear. I haven't been up close to too many horses, so I was unsure of how to color this one, but this is what I did with it. I gave the girl the same color hair as my friend's, knowing it would remind her of her childhood, and of course it did. She tells me it's the only sympathy card she got that made her cry. And to that I say, "Phew! Those tears gotta come." 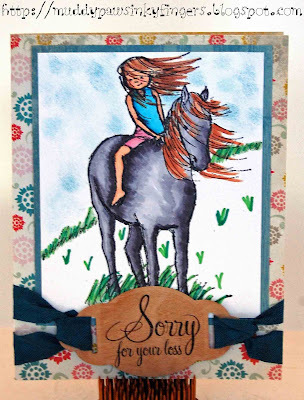 I used MME Miss Caroline Dolled Up 12x12 paper for the base of the card and the woodgrain piece behind the stamped horse image. The sentiment is stamped on a piece of wood veneer cut using a Spellbinders die, then stamped with Stazon ink. The ribbon is 3 Girl Jam Wine and Jewels. The image is stamped with Memento black ink and colored with Copics. The background is sponged with Tim Holtz distress ink -- broken china. This second card is one I made a few months ago, but I don't think I ever posted it. The card uses Basic Grey PB&J 12x12 papers, a Spellbinders die, a Close To My Heart ready-made border, and Copic markers. I used a Corner Chomper on 2 sides of the card. I promised to announce the winner of the blog candy giveaway today, Tuesday, and I will, but first I have a couple cards to share. I used the cup stamp from the January Kit of the month, stamping it first on the light colored background paper, then again on the blue designer paper. 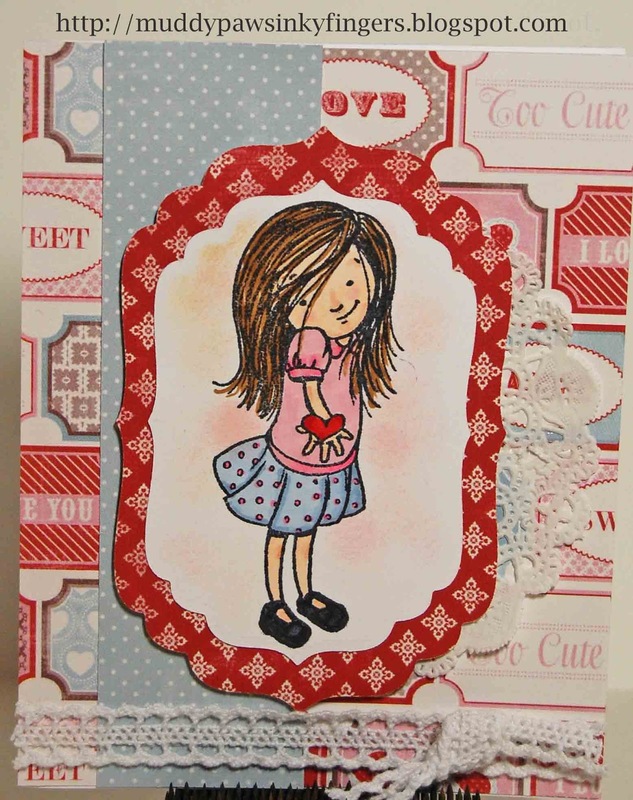 I fussy cut it out of the blue paper, then stamped it again on red, using only the red heart this time. I layered the blue cup on the original stamped image with foam tape, and layered the heart on the cup with more foam tape. 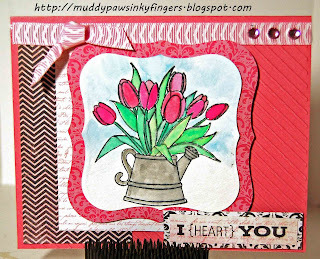 The smaller hearts were stamped on the same red cardstock (Echo Park splash) and they are from a stamp of the week, "Mug of Hugs", as is the sentiment. 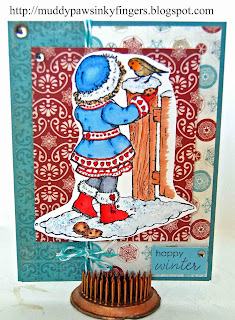 I used papers from Carta Bella Winter Fun 12x12 paper pack. The card is 4.25x 4.25. 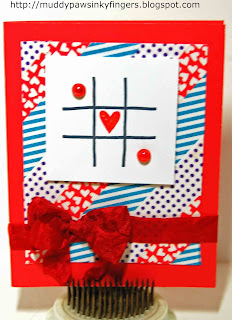 I'm going to enter this card in the new Unity Challenge and Crafty Creations love and hearts challenge. The stamp is from Flower Soft, and I colored it with many Copic markers. I think it's the most intricate coloring I've done yet. I colored the snow with Copics, then used a thin wash of Liquid Pearls and icicle Stickles over it to add some sparkle. The sentiment is a Close To My Heart stamp. I once again used Carta Bella 12x12 papers on the card, CTMH twine, and CTMH clear bling. I'm going to enter this card in Oozak's "Anything Goes with your favorite color" (red at the moment, but it might change by tomorrow). And, now for the reason you probably stopped by! The winner of the blog candy -- a 6x6 paper pad, some ribbon, some bling, and some stamps! Good stuff! I first used random.org to pick which of the 3 posts the winner should come from. It chose post #2. I then entered in the number of comments from that post, and random.org chose #1. The first person to comment on my blog that day (and many days, I might add), is loyal blog follower Laura Turcotte! Congratulations, Laura! I'm so pleased you won! I love all the sweet comments you leave on my blog. Please let me know your mailing address so I can get your package out to you. March 1-3 is Julie's Blogoversary Blog Hop. I'll be hopping with many of my friends to celebrate a great year of blogging. There will be many chances to win prizes! 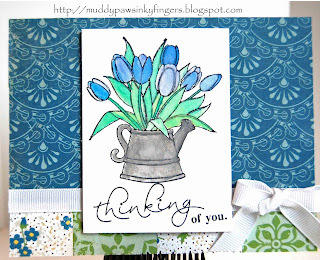 March 8 -- I'm guest designing for Market Street Stamps again. March 8-10 -- I'm hopping with 3 Girl Jam and The Alley Way Stamps. Fun times! Please be a part of it all! 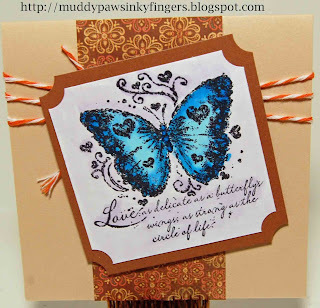 I'm a featured blogger today at Market Street Stamps! Oh how fun to be featured! I feel like I'm in the spotlight! If you've come here from Market Street Stamps to hear the rest of the story, thank you so much! And bear with me, there'll be a little repetition for those coming straight to my blog. 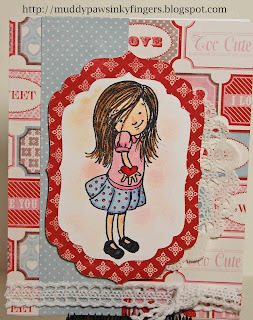 I cut the card out on the Silhouette using Echo Park cardstock, then masked the top of it, stamping the front of the card with the Market Street Stamp background stamp, "Hearts-a-Plenty" (retired) in a matching ink (Close to my Heart Outdoor Denim). MSS has the best background stamps -- they are huge - and easy to stamp with! Love them! I own about every one they make. 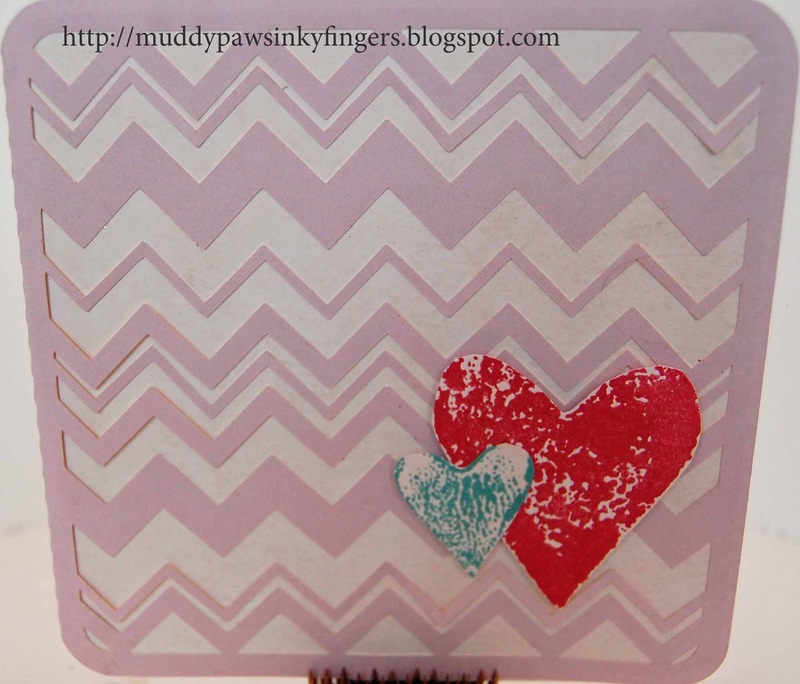 Then, I used another background stamp, "Houndstooth", and stamped on Echo Park cardstock using a contrasting ink, Close To My Heart cranberry. 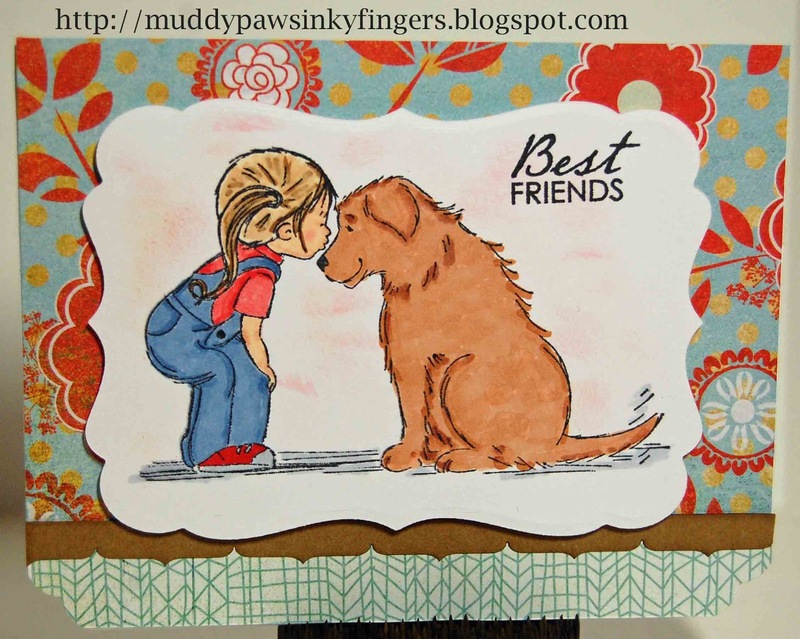 The dog, stamped using the MSS stamp set, "Pawprints on our Hearts", also uses Echo Park cardstock. He is accessorized with stamps from the set. A gold star from my stash finished the card. Or so I thought. Hmmm. Well. OK. I looked at it for awhile and thought, "what the heck. It's Sophie's card. It's going to the vet clinic. If anyone can understand and see the humor in it, it's them." So, I mailed it. With a bit of an explanation, of course. I haven't been there since to know if they liked it. Sophie obviously did. You'll have to let me know which version you like best. Mine? or Sophie's? I never did find the dog's collar, so she must have eaten it. I guess she wasn't accessorized correctly! 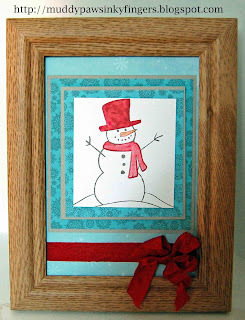 And, I'm sharing one more project on the Market Street Stamps blog today. 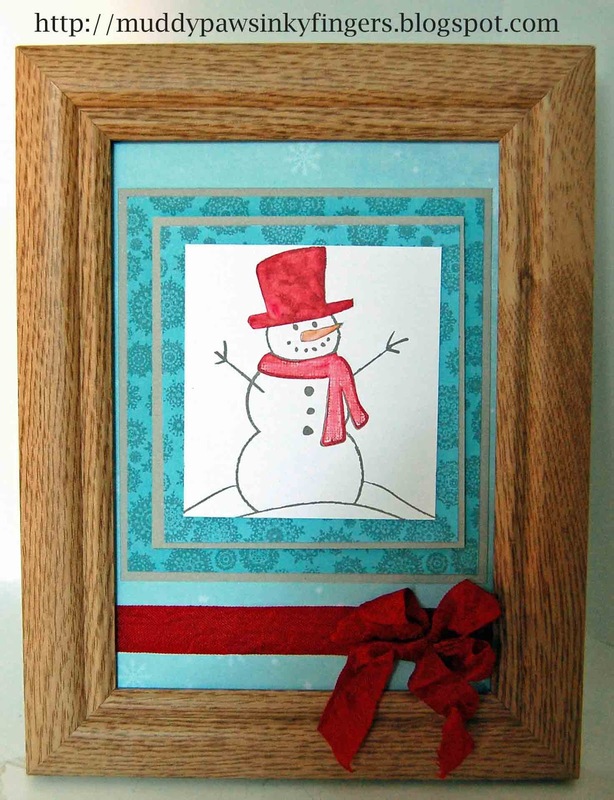 It's been cold and snowy here in NW Wisconsin, so I made this snowman framed art. 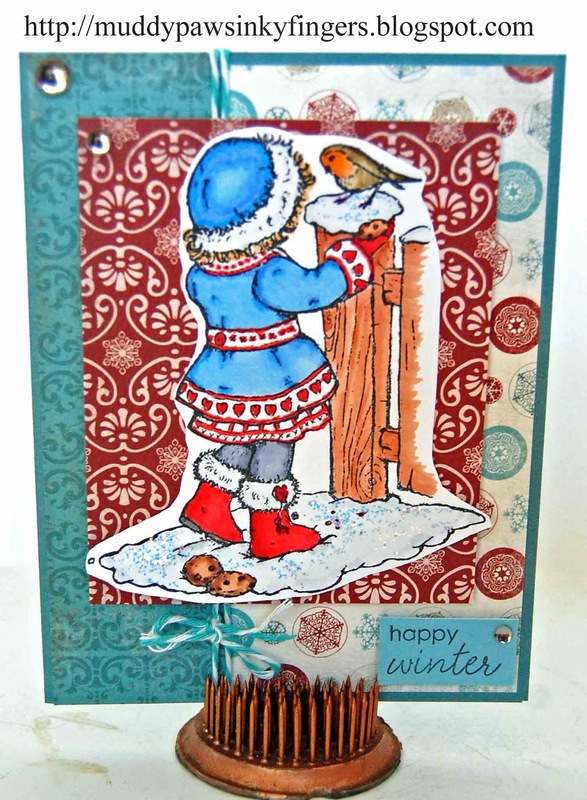 He uses the Market Street Stamps "Joyful Snowman" stamp set and the beautiful "Flurries" background stamp. I paper pieced the snowman, used a water brush and re-inkers on the hat, scarf, and nose. 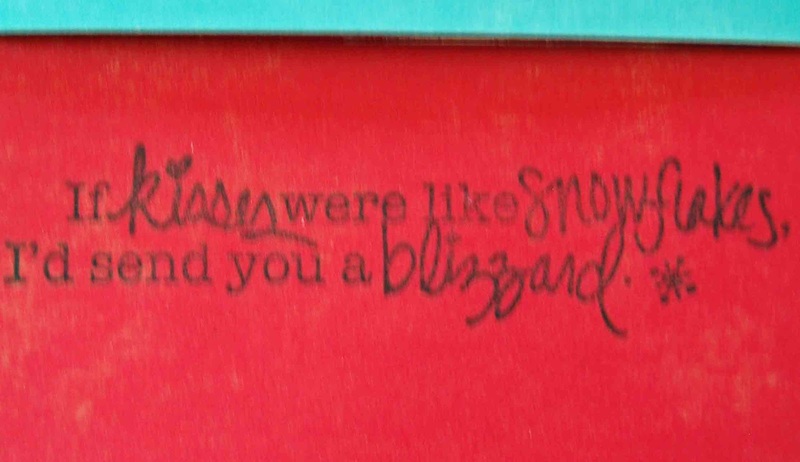 I used the Flurries background stamp and stamped it several times, then layered them with some contrasting gray Close To My Heart cardstock inbetween layers. I mounted it on a retired piece of CTMH designer paper and used a bow from 3 Girl Jam to finish it up. I'm giving away some blog candy to celebrate my recent addition as a design team member to 3 Girl Jam, and to celebrate this guest designer day. If you 'd like a chance to win, please follow my blog and leave a comment on today's post. I'll choose the winner tomorrow. Thanks so much for stopping by. I'll be featured again at Market Street Stamps on March 8, so please come back then. This is it! My first project as a 3 Girl Jam design team member! If you are looking for the Friends With Flair post and chance to win blog candy, click here, or just scroll down. That just about covers it. That's how I feel about how lucky I am to be doing this. I've been so excited ever since I got the news. Can't wait to get designing, and having fun with the wonderful 3 Girl Jam products. 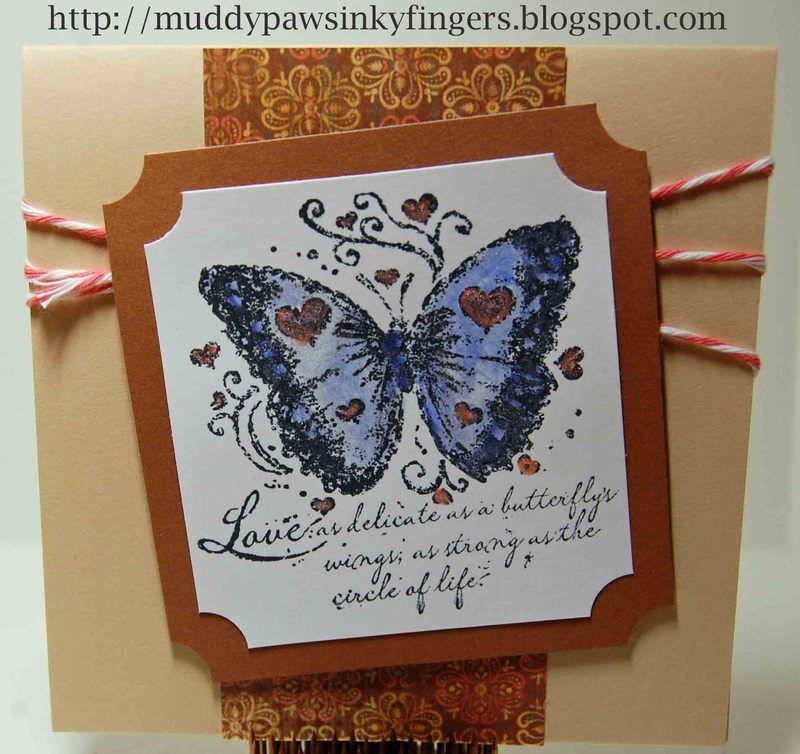 I used London blue ribbon from the wine & jewels bundle to make the bow on the card. The card measures 4 inches by 9 1/4 inches, and fits in a standard business envelopes. Other supplies used were Echo Park Springtime cardstock, my Silhouette Cameo to cut out the card, Unity Stamp Co's July 2011 Kit of the Month, a honeycomb background stamp bt Market Street Stamps, twine from Close To My Heart's harvest collection, Memento Tuxedo Black ink, Close To My Heart My Legacy Writer black pens, Copic markers. And now more about that giveaway I mentioned earlier. My one year blogoversary is coming up. It's been such an exciting year for me. 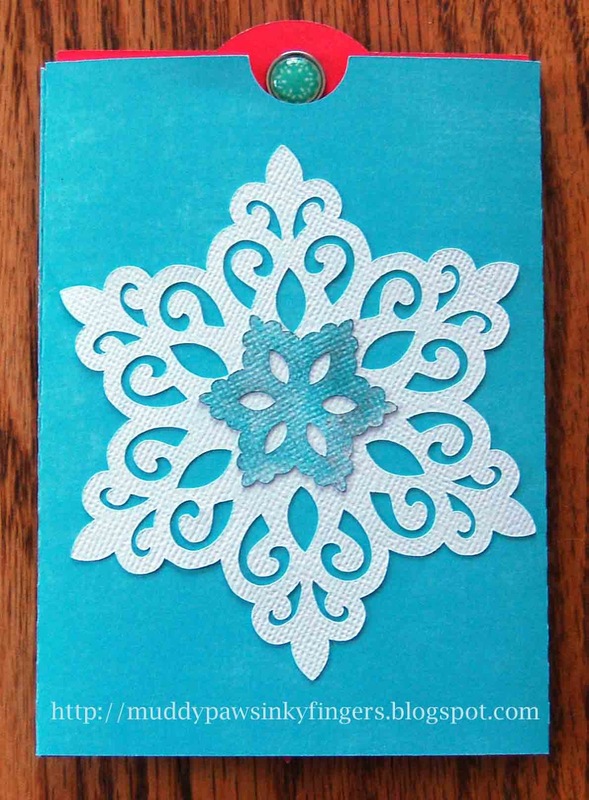 I had a card published in the Cricut Circle's Online Magazine, I've entered challenges and won a few, I've made many friends and connections around the globe, and I'm now on 2 design teams. All because of a blog. I never would have dreamt all this would have happened in one year when I began this journey. 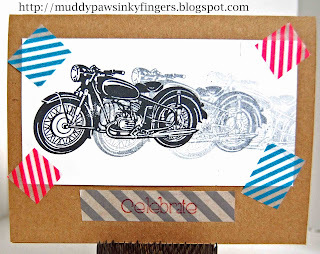 To celebrate, I've invited some of the friends I've made through scrapbooking and my blog to hop with me. The dates are Mar 1-3. Please come and participate in "Julie's Blogoversary Blog Hop". There will be a variety of prizes up for grabs -- including some gorgeous, can't-wait-to-play-with 3 Girl Jam crinkle ribbon. It's gonna be fun! For the current giveaway I have, follow my blog, leave a comment on this post and you are eligible. To increase your chances to win, also comment on yesterday's post and come back for Monday's post. Thanks for stopping by to view my FIRST 3 Girl Jam DT project! 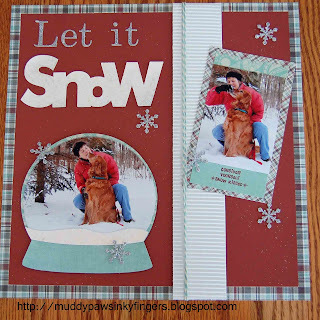 Let It Snow for Friends With Flair -- and blog candy! It's been a busy, but fun week for me! Valentine's Day stretches into a week of events at the nursing home. We make the most of every holiday to brighten lives, so it was a high energy, long- hour work week for me. But it's Friday, and a particularly exciting day for me! I've been bursting with excitement, but sworn to secrecy until today. I am now on 2 design teams! Yes, today it becomes official! Welcome one of the newest members to the 3 Girl Jam design team. If you haven't visited the 3 Girl Jam store, you are in for a treat. They sell wonderful things, including the most beautiful crinkle ribbon I've ever used. And I'm designing for them. Woot!! It's also the day that my design team project is featured on the other company's blog I design for, cropchocolate.com. If you haven't visited their blog, check it out here. Cropchocolate.com sells many great deals a day, plus there's a super community of talented scrapbookers and cardmakers there. If you're not familiar with cropchocolate.com, you are in for a treat. It's been a snowy week here in NW Wisconsin, so it's a perfect day to show this layout. It's my 12-year old Golden, Molly, and me, frolicking in our yard. I used Fancy Pants Blissful Blizzard 12x12 papers, My Mind's Eye Follow Your Heart "Be Happy" baker's twine, Close to My Heart barn red card stock, Liquid Pearls (white opal), Icicle Stickles, a Tonic snowflake punch, my Silhouette to cut out the snow globe shapes and letters, and Unity's Snowglobe Wonderland stamp set. There are details on how I made this layout on the cropchocolate blog. 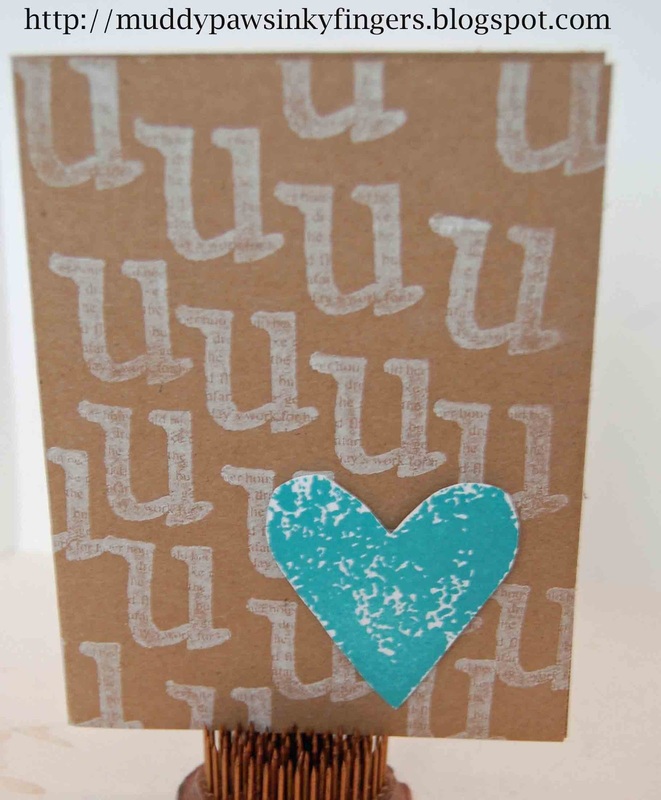 Here's a close up of the Unity stamp I used. Perfect for Molly and I, don't you think? And now, for your chance to win some blog candy. I have a Unity stamp, some ribbon, a 6x6 paper pad, and some embellishments that I'd love to give to a good scrappy home to help celebrate my new design team assignment. To be eligible to win, please follow my blog and leave a comment on this post. That's it! I'll choose the winner next week. But first!! Before you go...the three new members of the 3 Girl Jam design team will be featured tomorrow on their blog. Stop by and see my project. I'll post it here, too, for you. 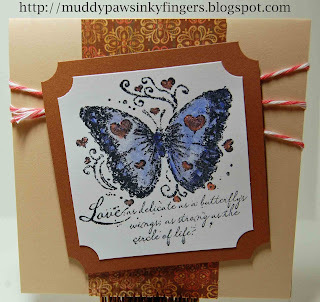 And, I'm a guest designer on the Market Street Stamps blog Monday, Feb. 18. Please come back and visit my blog that day after you check out the post at MSS. If you like dogs, you'll like the story behind my project. It's a great one, I promise! Early March will be my one-year blogoversary. 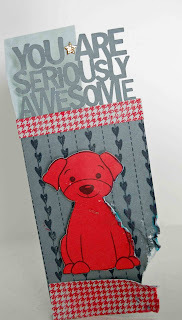 I've been busy gathering friends for a celebratory blog hop with LOTS of goodies given away. Mark your calendars to hop with us March 1-3! Join in on Julie's Blogoversary Blog Hop! Blushing -- Happy Valentine's Day! I have another card to share that I made for a friend for Valentine's Day. I love Unity's Phyllis Harris stamps and this one was just released a couple weeks ago. Just in time for the day of sharing love. I used Crate Paper's Fourteen 6x6 papers, Spellbinders dies, Really Reasonable Ribbon from their monthly club, a doily purchased in the bakery section at Michael's and Copic markers. I sponged behind the girl with Tim Holtz spun sugar distress ink. I'm linking this card to Crafty Creations Challenge blog's "Love &/or Hearts" challenge, Oozak's "anything goes with your favorite color" challenge (mine's red at the moment, but it will change after Valentine's Day, I'm sure), and Ribbon Carousel's "Love is in the air" challenge. 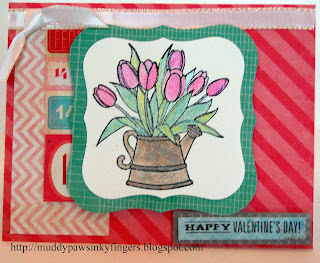 I used Crate Paper Fourteen collection 6x6 papers, Unity's "Tulips and Daisies", and Close To My Heart's Whoooo's Your Valentine stamp sets. The focal image was painted with Creative Inspirations paints using Tickled Pink, Blush, Winter Frost, Mocha Latte, Sunshine, and Sage. I am entering this card in the Creative Inspirations Paint Inspired by: Valentine's Day challenge, and the Ribbon Carousel's Love is in the air challenge. Next, I have some boxes I've been working on for our Sweetheart dinner in the nursing home. The married couple are invited to a special dinner just for them and I've been working on the table decorations. These boxes will be part of the centerpieces. I cut the boxes out using my Silhouette and files from SVGcuts.com. The 12x12 papers are Trinity Company's Sincerely (boxes on the left and right) and Echo Park's Yours Truly (middle box). They are decorated with bling from my stash and 3 Girl Jam crinkle ribbon. I'll probably put some chocolates in them for the sweetheart dinner. Doesn't make me think the best. instead of having eyes that twinkle. Maybe next Friday I'll rock this one! This first one is super simple. I always make a bunch of Valentine cards, then hand them out to the residents in the nursing home where I work. This will probably be one of them I use this year because I can whip them out really quickly. It used Carta Bella kraft card stock, and two Unity stamps set, Susan Weckesser's a Little Grunge Love, and the Liz Hick's alphabet set. I cut this next card out on the Silhouette. It's a double slider card. I used Echo Park Playground cardstock on the slider card. The last card is also cut out on the Silhouette. Then, I just added a couple of embossed hearts from the Susan Weckesser A Little Grunge Love set. 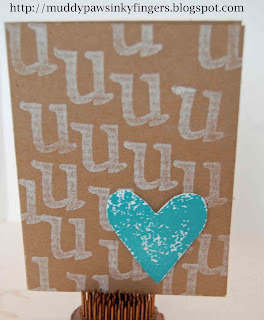 I used Echo Park cardstock on this card and CTMH ink and embossing powders. That's it! Enjoy your weekend, and thanks so much for visiting today! 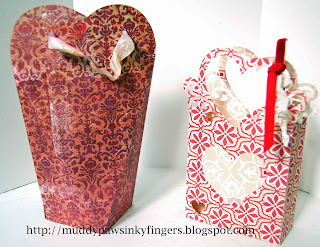 3D Valentine's -- bag style! 3 Girl JAM has a new challenge and it's 3D plus ribbon. Well, I love creating 3D boxes and bags, so this one's right up my alley. And, with Valentine's Day right around the corner, I decided to create a couple Valentine's bags. I used 3 Girl Jam ribbon on both of these -- just a touch -- to add some class to them. Both bags were cut out on my Silhouette. I used papers from a grab bag I purchased from cropchocolate.com, so I'm sorry, I can't give credit to collection, but I know the paper on the left is My Mind's Eye, and the bag on the right is made from Echo Park paper. I also used a little velvet ribbon on the right bag (from my stash). I'm also entering this in craftycreationschallengeblog.com's "anything but a card" challenge. Thanks for looking! FWF -- Color my world! Maybe it's the bitter cold snap we're having again, but I've been craving bright colors! I keep thinking I should be making winter themed cards, but I'm reaching for tulips, butterflies, motorcycles and bright washi tapes instead. Must be a sign of cabin fever! 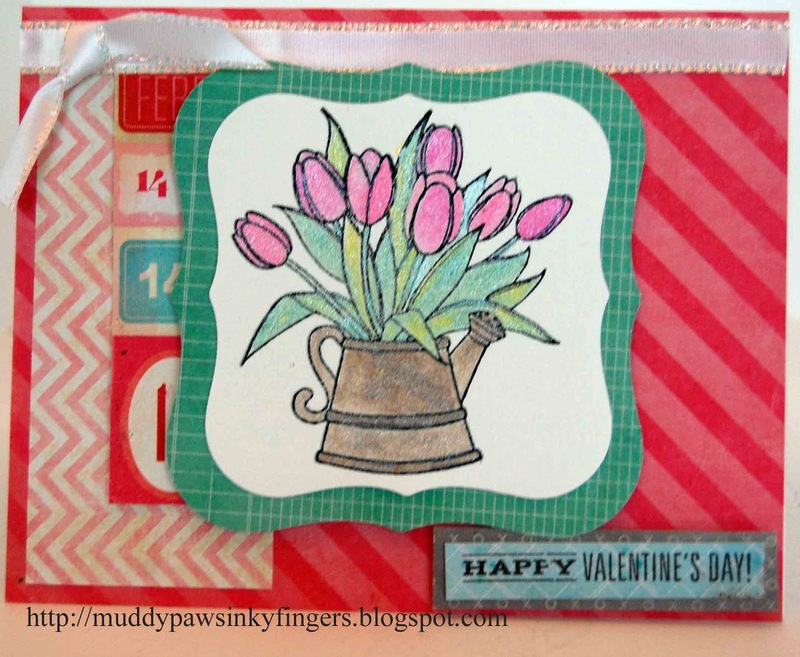 The first two cards use the Unity Tulips and Daisies stamp set. I'm broadening my wings a bit and trying some watercolor painting. 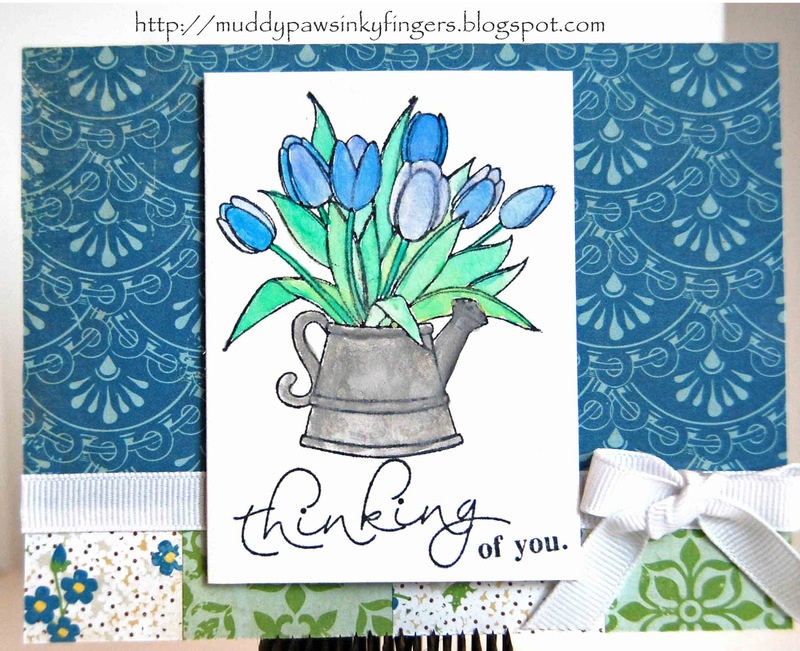 This card with blue tulips uses a student watercolor paint set I picked up at Michael's for under $5. I entered it in a challenge on the cropchocolate.com site. I used Echo Park For the Record 2 Documented papers, Strathmore 90# cold press watercolor paper, and some ribbon from my stash. I used my same student set of watercolor paints, Carta Bella Paris Girl 6x6 papers, Spellbinders die, Really Reasonable January Club ribbon, and a sentiment stamp and bling from Close To My Heart. I embossed the right panel with a Lifestyles Crafts linear embossing panel run through a Bigshot. 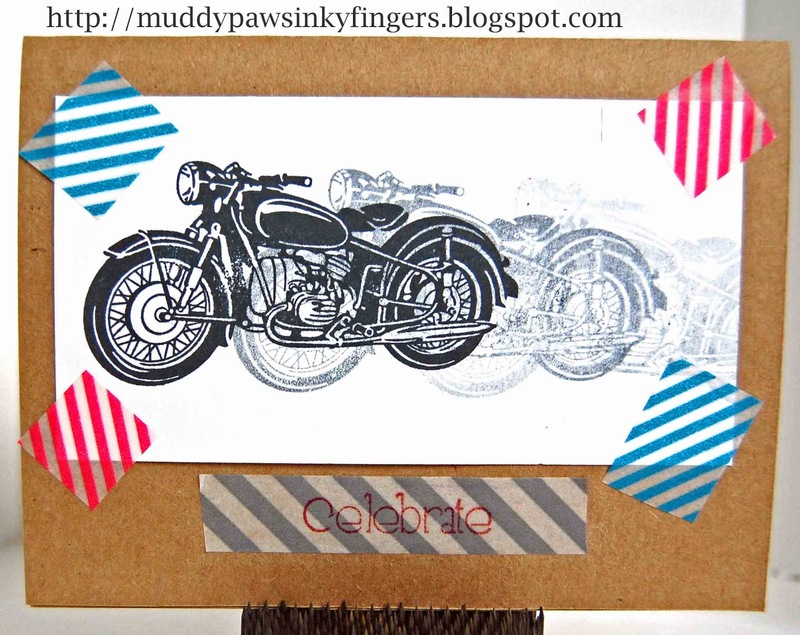 I used a CTMH motorcycle stamp and CTMH Kraft card stock. The various washi tapes I own are thrown in a basket so I no longer know the manufacturers. The "celebrate" sentiment is from a Unity grab bag. I have two more cards to show you. There's no Unity on them, but I've been discussing different watercolor paints with some friends on another forum who also visit FWF and I want to show a comparison for them. It's the basically the same card, made twice. The first butterfly is colored with Copic markers. The second butterfly uses some new paints I just got this week. Well, new to me anyway, called Creative Inspirations paints. All supplies and stamps are CTMH, except Copic markers and Creative Inspirations Paints. I used peach and tanzanite paint colors. It's hard to see, but they are very sparkly and luminescent. 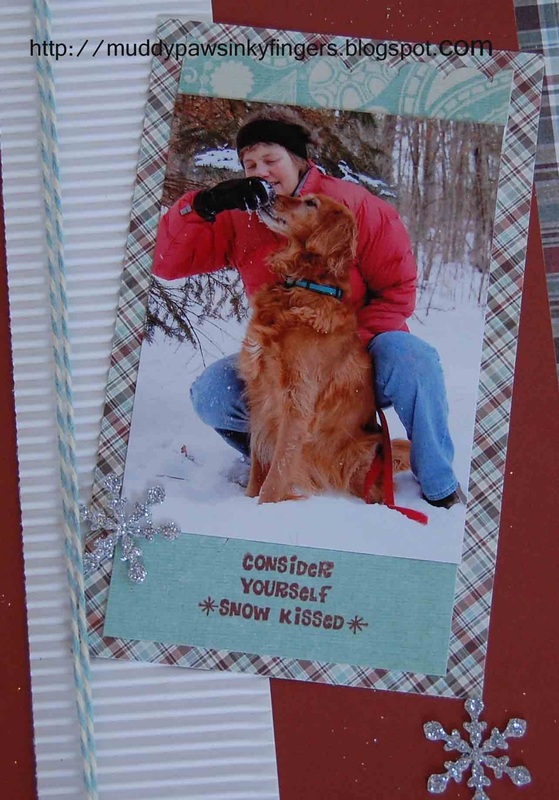 I'm entering the second card in the Creative Inspirations "anything goes" challenge.